Pole Motion: Pole Fitness Volume 1 is a dynamic new pole fitness program, showing you the benefits of pole dancing and the versatility of the pole as a piece of fitness equipment, enabling you to improve your fitness whilst learning an artistic new skill. Pole dancing has fast become one of the hottest fitness trends - it works the whole body, improving muscle tone, flexibility, coordination, posture as well as upper body and core strength. Owning a pole at home has never been easier or more affordable in comparison to other home exercise equipment such as rowing machines and treadmills. Featuring top pole instructor Justine McLucas from Ecole de Pole, the Pole Motion workout features: 3 easy to follow lessons with over 20 beginner’s moves, 4 routines, 3 tone up sessions to strengthen and tone muscles, a warm up routine and stretch out session as well as special bonus features. 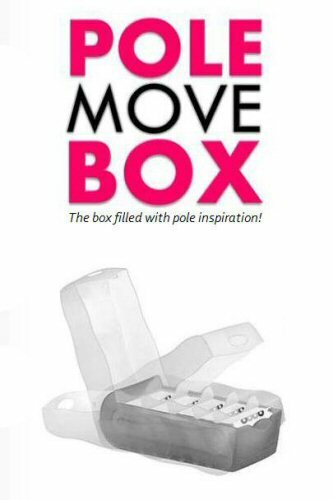 Get in motion and see how pole fitness can improve your muscle tone, strength and flexibility in a fun workout for everyone.